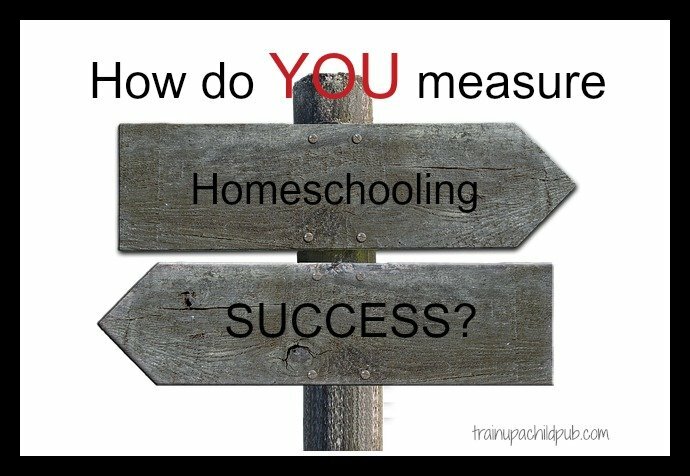 What is homeschooling success to you? How do you know you are getting where you want to be if you aren’t sure what you’re aiming for? Have you really thought through this, or are you just looking around and trying to do what everyone else is doing? Most of us have a vague idea that if we turn out ‘good’ kids and teach history, science, math and English every year, manage to have clean clothes most of the time, and throw half-way healthy meals on the table daily, our homeschooling is a success. Not to say that it’s not a success if you do all that. Believe me – I know how hard it is getting it all in. Those things are all important. But if you’re like most homeschool moms, it’s the things we do without really considering our true priorities that put us over the edge. That make us live like we are being dragged behind our minivans instead of being in the driver’s seat like we belong. Shouldn’t each of my kids be in a sport year ’round? Shouldn’t we be learning Latin? Aren’t our kids going to be behind without starting athletics/ music lessons/art classes/ by age five, like everyone else’s kids? Shouldn’t we be doing _________ (fill out the blank with an expensive “homeschooling” program outside the home), like the other homeschooling families in our church? It’s time to assess what homeschooling success looks like to YOUR family and let some of that other “stuff” fall by the wayside. Identifying what homeschooling success means to YOU gives you a framework from which to judge everything: from what type of curriculum to choose, to what habits each of your children need to be trained in, to what activities you are going to participate in. Does that upcoming field trip opportunity bring you closer to meeting one of your goals? No? Then maybe it isn’t the best use of your time, unless the social time is a priority for this season. Does that curriculum you’re considering support a biblical worldview? Yes? If that would bring you closer to a primary goal, then that’s a superior choice for you over another curriculum that doesn’t support a biblical worldview. Are you getting tired of being dragged behind that van? If I am talking to you, leave a comment about what you want to change and why! 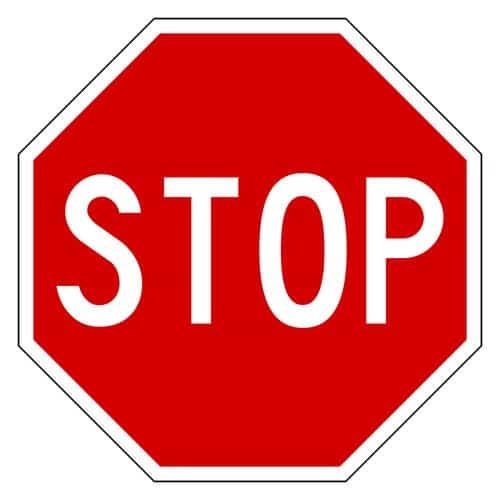 And be looking for part two of this post with a process for getting back into that driver’s seat. I am not a homeschooler but reading this was a helpful reminder not to compare in other areas of my life. It is silly how much satan “drags” our minds around with thoughts of ungratefulness, jealously, and insecurity. We must miss so many opportunities around us because we are focused on ourselves instead of resting in the love of Jesus and being free to focus our mind on others. Thanks for this post! Hi Aliece! You are so right about how Satan “drags our minds around” as soon as we start comparing ourselves with others! Well put! I’ve been working especially hard lately to identify those thoughts as the flaming arrows (Eph. 6:16) that they are and take them captive (2 Cor. 10:5). I’m so glad you enjoyed the post and could relate to it even though you are not homeschooling. =D Thanks for taking the time to share your thoughts! Hi Dana. I guess I’m in a somewhat unique position because I don’t know anyone else in my area that homeschools their kids, so I don’t have anyone to compare to. Success for me is 1) my kids aren’t in public school so they get to sleep until the sun comes up in the morning, eat real food, and learn in an environment that isn’t driven by a political budget and 2) we are actually sticking to a schedule this year for the first time. Thanks for sharing. Hi Ben. Food and sleep are pretty important in my book, too! I’m sorry you don’t know of more homeschoolers around you, though ~ that often tends to make things a little easier. Glad you are experiencing schedule success this year. =D Thanks for stopping by! I would like to quit comparing how our homeschool looks to other people’s & trust that what I’m doing is enough. Also to not overthinking my planning for each year & trust God to guide me, He is always so faithful each new year & always! Hi Amber. Many, if not most, of us struggle with comparing our homeschool to others and feel as though we aren’t doing “enough.” God IS faithful to guide us if we ask Him to! Does that mean we will do a perfect job? No! And neither will our children, but that’s okay. The important things will be covered. Thanks for sharing your struggle. I want to change the feeling that everything I do is wrong. We start a curriculum I see someone recommend, but then a week later I will read how great another program is and switch to it. This article really is what I am going through right now; Trying to give my children the best that I can based on what other successful homeschoolers are doing, but I always end up feeling inadequate. Hi Stephanie, thanks for taking the time to verbalize what most of us feel, especially when beginning to homeschool. It’s because you are so committed to doing the very best job you can for your kids that you feel the pull to change to the ‘latest and greatest’ thing you hear about. Working from a well-thought plan will help. More about that soon! Have you read Cathy Duffy’s Top 102 picks? The beginning of the book talks about teaching styles and learning styles. 1. There is no “perfect” curriculum. 2. There is no wrong way to homeschool. 3. There is a “best way” for YOUR family. But that may not look like what your friend’s homeschool looks like. Your goals are different than theirs (most likely); your kids learn differently than theirs (more likely), etc. You need to find what works for YOUR family and stick with it…. confidently. I’ve been doing this 12 years now and when I started out, I picked a curriculum based upon recommendations. It was “failure”. Now, I usually end up picking stuff that is not what others around me are using, but I’ve given prayer to the decision and know that its what is best for MY family. Everything on the market will “get the job done” at the end of the day. You and your kid(s) will enjoy some of it more than others.